Well…at least it may seem like that way. Although the Yankees don’t technically have 99 problems, the gaping holes in the pitching staff are not making things easy for the Bronx Bombers. Despite a late-game attempt to stage a comeback this afternoon at home, the Yankees dropped the second game in their three-game series with the Detroit Tigers, 7-5. The loss rested primarily on the shoulders of, no surprise, the starting pitching. As a matter of fact, most of the games the Bombers have lost this year were the result of the starters putting the offense in a hole they weren’t able to climb out of. Something undoubtedly needs to be done, but the solution to this problem isn’t as simple as calling up a young arm to replace a scuffling starter. Even the highly-touted young men in the minors are in trouble. For the second consecutive start, Freddy Garcia only pitched 1.2 innings. His last time out the Red Sox shelled him at Fenway; seven hits, five earned runs before the end of the second inning, and it was time for him to hit the showers. 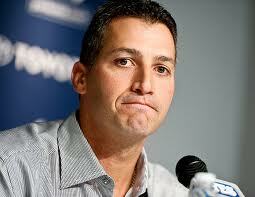 But the Yankee offense miraculously bailed Garcia out, coming back from a nine-run deficit to win. Today, he wasn’t as lucky. The Tigers tattooed Garcia for six earned runs on five hits, chasing him from the game before the second inning concluded. The Yankees tried to chip away on the strength of two home runs off the bat of Nick Swisher and one from Curtis Granderson. A valiant effort, but it could not be done. Not that I ever want to wish ill of the Yankees or want them to lose, but in a strange way, I’m glad they did – only because Garcia deserved the loss, which he recorded. Garcia is now 0-2 this year with a skyscraping 12.51 ERA. He has only pitched 13.1 innings in the four starts he’s made and has allowed 19 earned runs in those games. If that isn’t enough, opponents are averaging .403 against Garcia. It’s only been four games, nonetheless the question right now is: how long are the Yankees going to let this continue? The fans have lost their patience, as evidenced by the deafening chorus of boos he received walking off the mound today. Garcia’s nickname is “The Chief.” It’s my presumption that soon he’ll be the Chief of a different tribe. But Garcia isn’t the only starter who has hasn’t pitched up to his potential. 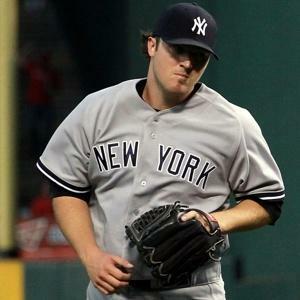 In 2007 Sports Illustrated dubbed Phil Hughes the “Pocket Rocket,” comparing him to a young Roger Clemens. 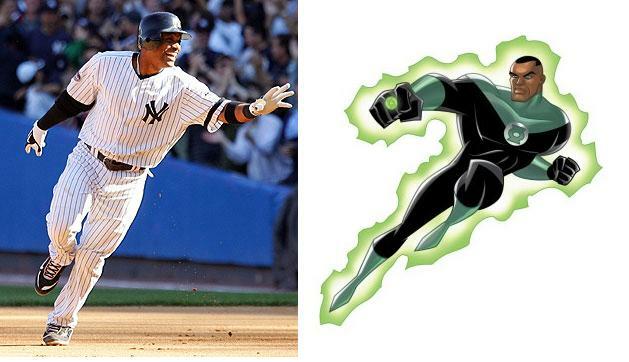 It’s hard enough to live up to such a comparison, but even more difficult trying to live up to it in pinstripes. Hughes hasn’t exactly been a total bust, but he certainly hasn’t been what the Yankees had hoped for. He’s been a big leaguer since April, ’07 – that’s five years and the start of a sixth, by my math – and really only has two good seasons to show for it. 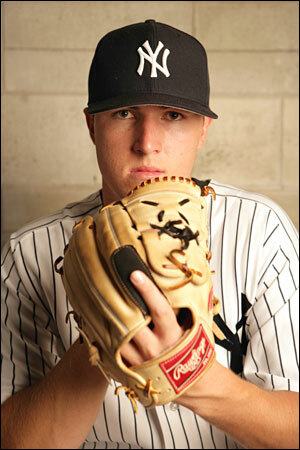 In 2009 Hughes was relegated to the bullpen where he shined in a setup role for the better part of the year. He went 8-3 and struck out 96 batters in 86 innings pitched. 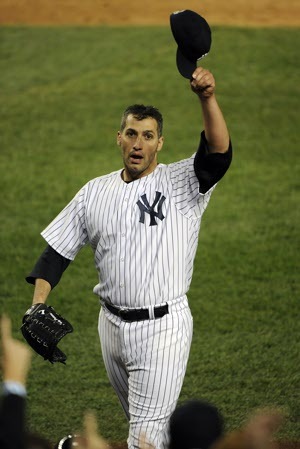 Hughes helped lead the Yankees to the ’09 World Series title and followed up with a stellar overall record in 2010, pitching out of the rotation. 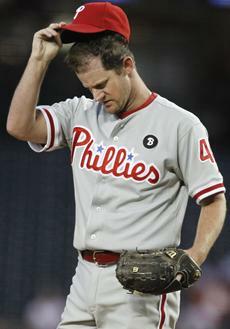 Hughes won 18 games, but started to decline; his arm tired. Since the end of the ’10 season, he hasn’t been the same pitcher, going 5-5 last year with disabled list stints and poor outings. This season Hughes is 1-3 with an elevated 7.88 ERA. His pitches look flat and his fastball has no movement, giving hitters the ability to feast upon it. Each of Hughes’s losses have been convincing defeats; he’s let up 14 earned runs in the 16 innings he’s pitched. It’s just not working out for him right now. I’m not sure if there is an answer for it, other than the Yankees may have flip-flopped him too many times; juggled him from the ‘pen to the rotation too much. The constant role reversal from starter to reliever may have caused too much wear and tear to his arm, and more particularly, his rotator cuff – which he had surgery on. The same way I have no answer for his sudden pitching neurosis, I have no answer for what the Yankees should do about Hughes. Trade him? His value is too low. Send him to the minors? No point. Hughes may be having a rough go of it, but not as rough as his partner…. While Joba Chamberlain may not have been given a special nickname by Sports Illustrated (except for maybe “Joba the Hutt” in a joking manner) he was the most excitable and energetic pitcher to come up through the Yankee farm system. Like Hughes, Chamberlain debuted in 2007 and made an immediate impact, throwing close to 100 mph every time he came out of the bullpen in relief. Another way he was like Hughes: his constant role reversal. Chamberlain was made a starter in 2008, and then as everyone knows, placed on the infamous “Joba Rules,” limiting his innings in ridiculous ways. In ’09 he worked as a starter and out of the ‘pen before once again being made a full-time reliever. 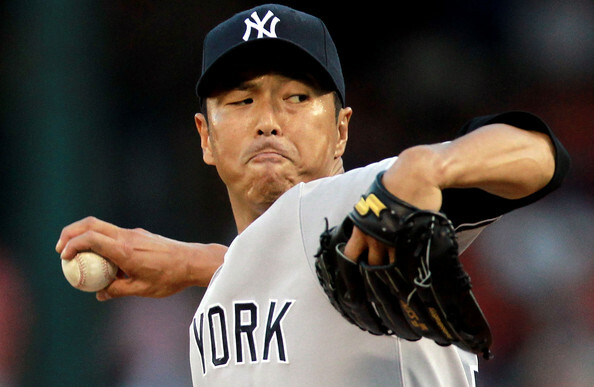 You would think the Yankee brass would just come up with a definite plan for their young arms, right? The injury bug has bit Chamberlain so many times over the last two years. Most recently, a trampoline incident fractured his ankle, probably ending his season. Chamberlain has made it clear he is adamant about returning this year, but even if he does, it’s fair to say he might not be the same flamethrower he was when he first joined the show. The Yankees made a trade in the off-season, most likely to help make up for the lack of production they were getting out of Hughes and Chamberlain. On Jan. 13 the Yankees swapped one of their prime young bats, Jesus Montero, in exchange for Michael Pineda, a promising starting pitcher who was a sensation in Seattle; the supporting cast member to Felix Hernandez’s star. 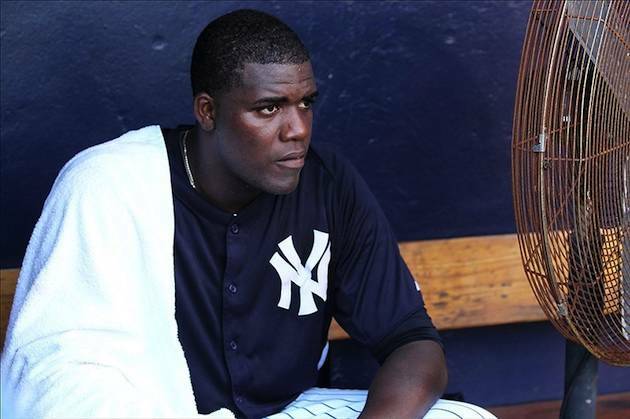 After a good-looking Spring Training, Pineda experienced pain in his pitching shoulder. He got it checked out, was diagnosed with tendinitis, and was ultimately placed on the 15-day DL literally right before the first game of the year. 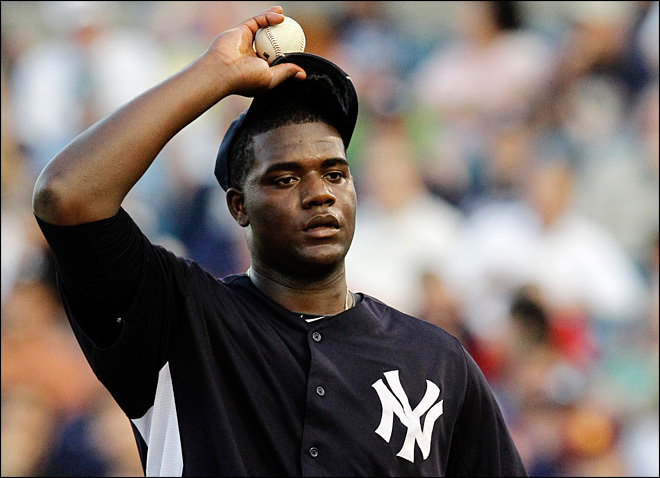 Following Pineda’s tendinitis, an MRI revealed he has a torn labrum, forcing the Yankees to shut him down for the entire season. The 23-year-old will not pitch in 2012 while Montero currently has three homers and 12 RBIs for the Mariners. All kidding aside, it remains to be seen whether or not Pineda will pay dividends, because his injury hasn’t given him the chance to show the Yankees what he can really do. But until at least 2013, the trade basically was useless. 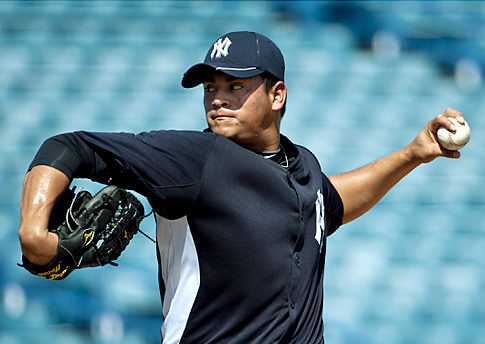 The Yankees have two other young arms waiting in the wings; possible hole-fillers for Pineda. It’s tough to analyze each of these young hurlers, because they’re both pitching in Triple-A Scranton/Wilkes-Barre. I haven’t seen first-hand what they have been doing, so it’s tough to say if their numbers are indicative of how well or how poorly they’ve pitched. But what’s that old saying? The numbers don’t lie? 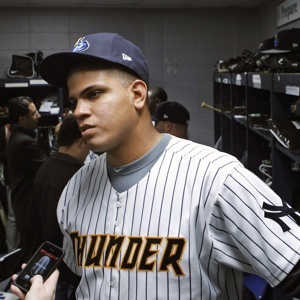 24-year-old Dellin Betances has made five starts this year and is 1-2 with a 7.25 ERA. He’s allowed 22 hits in the 22.1 innings he’s pitched, along with 21 runs (18 of which have been earned). He’s struck out 19 batters – but that doesn’t look good next to the 21 walks he’s issued. In 2009 Betances had Tommy John surgery and right now it seems as if he isn’t one of those pitchers that has had the procedure and thrived afterward. After today’s loss, a lot of fans said, “Call up Betances and designate Garcia for assignment.” But from the way things are looking right now, that scenario would be almost as useful as replacing Garcia for…well…Garcia. 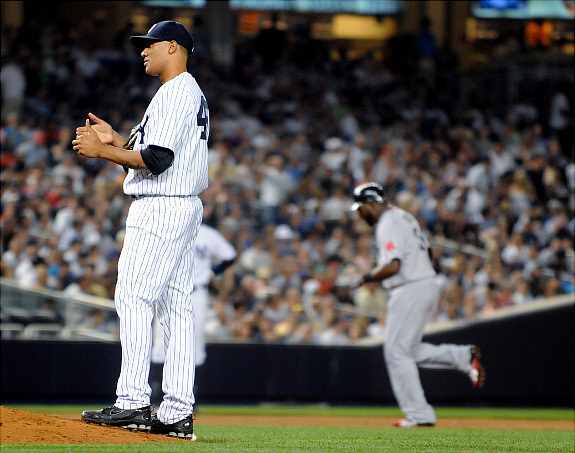 According to the numbers, Betances hasn’t been pitching well at all. And his teammate, 21-year-old southpaw Manny Banuelos, is having the same bad luck. Banuelos has made two starts this year and is 0-1 with a 10.13 ERA. He’s thrown just 5.1 innings and let up six earned runs on 14 hits. Banuelos walked seven batters in those two games and only struck out two. Making matters worse, Banuelos is currently on the DL, making his improbable call-up basically impossible. After a stint on the DL, I don’t see any likely scenario this year in which Banuelos gets the call to the big team. What do you do when your present and future are betraying you? 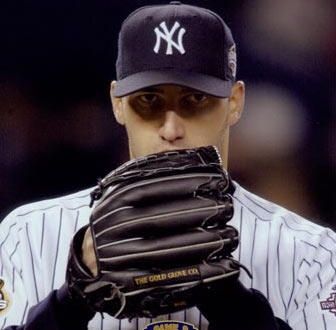 Although I have expressed my disdain for Andy Pettitte’s decision to come out of retirement – disdain that I still uphold – I did follow up by mentioning I wish no ill will on Pettitte and that if he returns and succeeds, more power to him; it will only help the Yankees. And the Yankee pitching is hurting in the worst way right now. 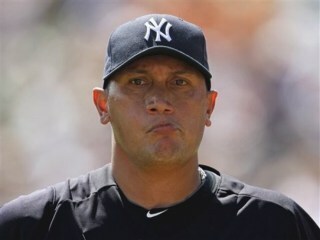 Therefore, I don’t see how Pettitte can do anything but help. 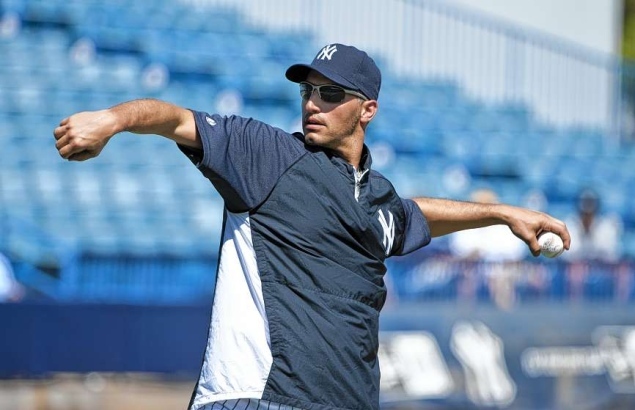 Due to inclement weather conditions, Pettitte will pitch for Class-A Tampa in his next start (he had been slated to start for Double-A Trenton). From there he will be evaluated and hopefully, for the Yankees’ sake, be ready to join the team and aid the banged-up rotation in the coming weeks. 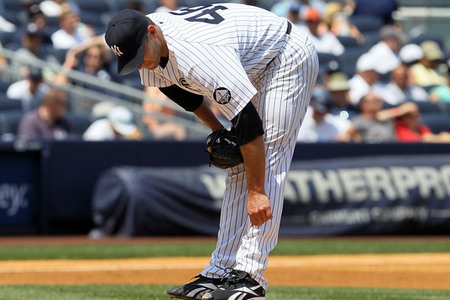 The Yankees’ 39-year-old lefty has had noted groin and elbow issues in the past. 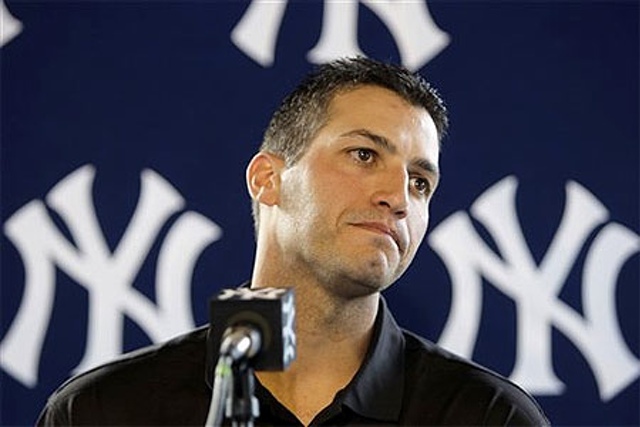 Hopefully the Bombers can catch a break for once, however, and Pettitte will return and fill the void left by the fledgling, young members of the rotation. Rest easy, Yankee fans. Help is on the way. Today I was texting with a friend while Garcia was getting lit up. He suggested the possibility of signing free agent Roy Oswalt. If the Yankees could get him cheap, I’d say it’s a great idea. Low risk, possibly a high reward. Like I said: just a thought. The game was in the bag. The Red Sox tore apart Yankees’ starter Freddy Garcia and led 9-0 going into the sixth inning, ready to avenge their 6-2 loss to the Yank…Highlanders the day before – the day they celebrated Fenway Park’s centennial. 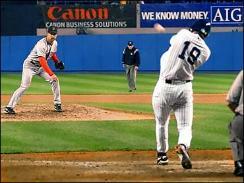 But Boston learned what they taught the Yankees in October, 2004: no lead is safe. Mark Teixeira hammered a solo home run over the Green Monster in the sixth. The round-tripper was followed by a seven-run barrage by the Yanks in the seventh inning. If that wasn’t enough, the Bronx Bombers continued to slaughter the Boston bullpen, adding another seven runs in the eighth to complete an improbable comeback, finishing the Red Sox off, 15-9. Incredible. An enormous lead and a surefire win for the Red Sox wiped away; another humiliating loss to their most hated rivals. 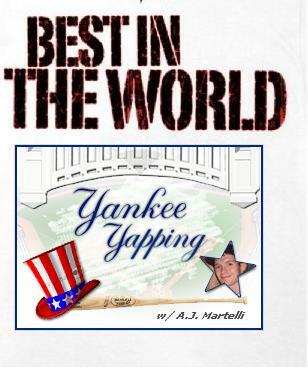 And to the Yankees and their fans: yet another feather in the cap; another triumph. I watched the game up until the sixth inning. Basically I saw Teixeira’s solo home run, watched Philip Humber complete his perfect game vs. Seattle, and left the house, having covered a girls’ lacrosse game earlier in the day, and having been invited out to dinner by a group of friends last evening. Assuming the Yankees were going to lose, I didn’t listen to the game on the radio in the car. I was left in utter disbelief when I found out the Yankees had pulled to within one run – and even more stunned when I heard they came back to win it. These past few seasons, the Yankees have a strange way about them when it comes to facing pitchers they haven’t seen. They don’t seem to generate sufficient offense against pitchers they have never faced. Because of that, it came as no shock to me that Felix Doubront was mowing the Bombers down one by one through the first six innings. 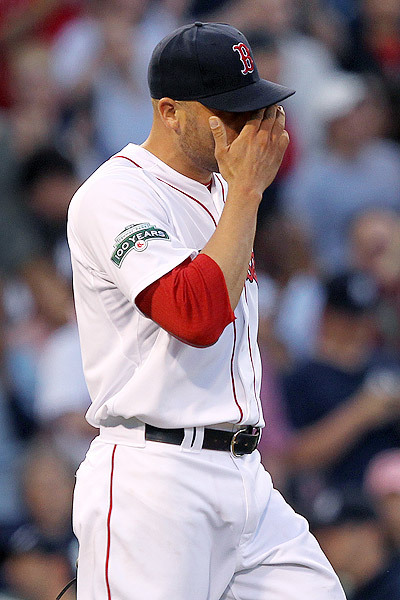 But Teixeira’s home run chased Doubront from the game and Boston’s bullpen – which is thin and weak – blew it. The Red Sox ‘pen pitched three innings, surrendered 14 runs (13 earned), issued four walks, and only struck out two batters. It’s impossible to win when the relief corps can’t finish the game. Boston proved that yesterday. Giving the Red Sox ‘pen the most problems was Nick Swisher, who not only clubbed a grand slam in the seventh inning, but picked up a go-ahead two-run double in the eighth which gave the Yankees a 10-9 lead. Swisher finished the day with six RBIs – and he wasn’t the only Yankee with that many runs driven in. 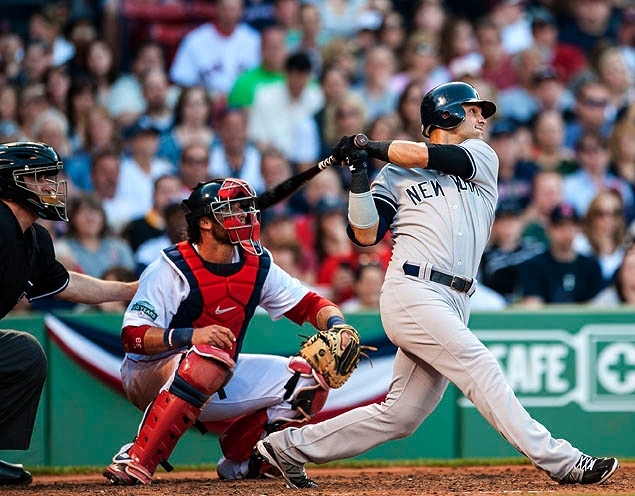 Teixeira also punished the Boston relievers, notching six RBIs. He hit a three-run homer in the seventh to pull the Yanks within one run and later gave his team a cushion, smacking a two-run ground-rule double in the eighth to pad the lead. Overall, what I took away from the bullpen collapse: a huge hole in their arsenal; a major vulnerability. If the Yankees were able to overcome a gigantic deficit and dismantle the Red Sox relievers, any team can – especially when the closer is blowing the game. Alfredo Aceves is filling in for Andrew Bailey, the closer Boston signed to supplant Jonathan Papelbon. 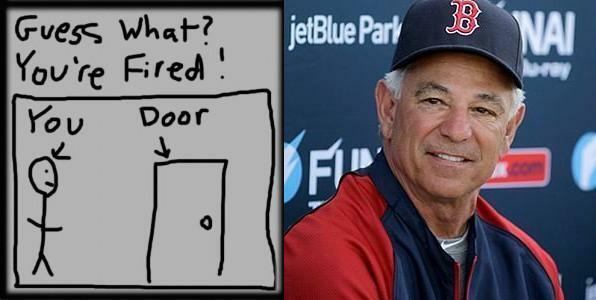 The Red Sox have played 14 games this young season, and Aceves already has two blown saves. He took the loss yesterday and his ERA is currently a bloated 24.00. Five of the six relievers the Red Sox used yesterday have an ERA over 4.00. Boston is 4-10 right now, good for last place in the AL East. And if they don’t straighten out that bullpen in a hurry, things are only going to get worse for the boys from Beantown. Freddy Garcia probably did the same for Swisher and Teixeira. They bailed him out of what would have been his second consecutive loss. Garcia has not pitched a good game this year, at 0-1 with a 9.75 ERA. He’s averaged just four innings pitched per start, and only lasted 1.2 innings yesterday. The Boston offense did a nice job knocking him around in the early-going. Garcia let up five earned runs on seven hits without walking a batter and without recording a strikeout. 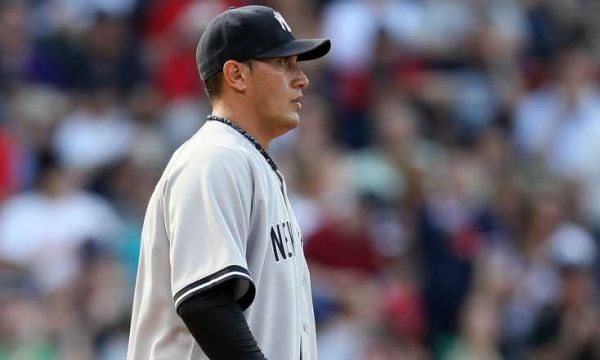 It’s obvious his spot in the rotation is in jeopardy with Andy Pettitte about two and a half weeks away from being ready to re-join the show. Via Twitter and Facebook yesterday, I read a lot of fan complaints about Garcia’s pitching. Lucky for them, he probably won’t be in the starting five much longer. When Pettitte returns, Garcia will most likely be relegated to the bullpen while the veteran southpaw gets slid into his rotation slot. Twelve of the 15 runs the Yankees scored were driven in by Swisher and Teixeira. Both have been so streaky and hot-cold, but in the early part of this year have in a lot of ways cemented their value to the Yankees. Swisher played a pivotal role in the second series the Yankees played this season in Baltimore, blasting what turned out to be the game-winning home run on April 11. The switch-hitting right fielder has 20 RBIs, which at the moment leads the American League. There has been a lot of speculation (at least among some fans) about Swisher possibly being traded this year. But right now it’s not an option; the Yankees would be foolish to let him go, considering the way he’s been swinging the bat. To bottom line it: Swisher is raking, and won’t be going anywhere anytime soon. I don’t know how many times I heard Tim McCarver proclaim yesterday how much of a “notoriously slow starter” Teixeira is. Not that I usually agree with anything McCarver really ever says, but it’s true. Historically, the Yankee first baseman never comes out of Spring Training strong. But in mid-2009 Teixeira claimed that his “home runs come in bunches” – and while it’s true he typically never gets off to a hot start, Teixeira’s statement about home runs coming in bunches is true. 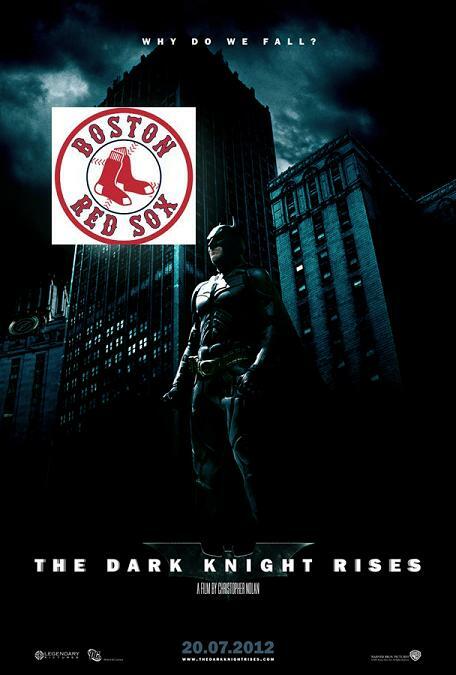 Case in point: his two homers over the Green Monster yesterday. Teixeira now has three homers on the year and is batting .288 with 11 RBIs. I wouldn’t exactly call that a slow start, but he has to become more of a situational hitter – like he’s been, so far. Throughout his tenure as Red Sox skipper, I never had anything negative to say about Terry Francona. 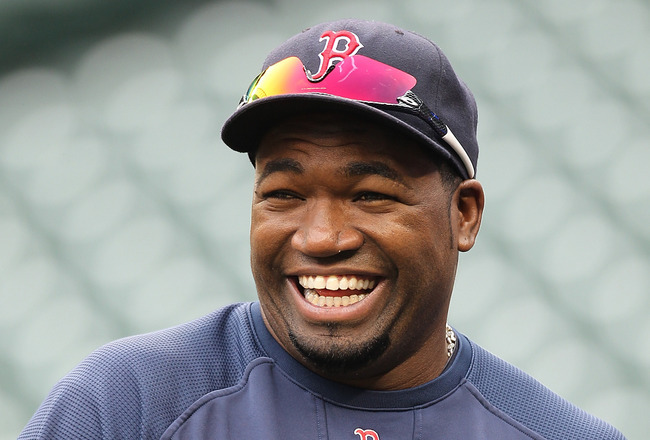 I thought he did a lot right by his team; keeping troublemakers like Manny Ramirez in check and dealing with the unconventional, fun-loving ways of David Ortiz. He led the Red Sox to the playoffs five times in the eight years he served as manager, winning two World Series titles along the way. Francona will always be a beloved figure in Boston, like Joe Torre is in New York. 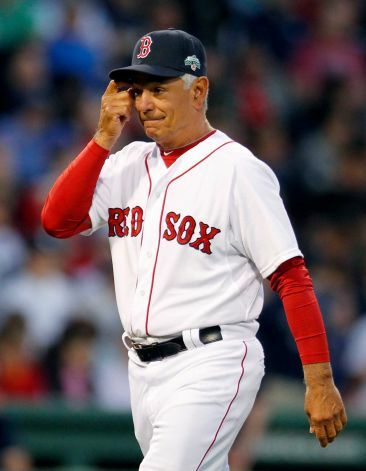 But after failing to make the postseason the last two years, the Red Sox brass moved him out as manager and moved in the always-controversial Bobby Valentine – who is a polar opposite of the type of manager Francona was. Valentine has dug himself a fine hole, and hasn’t exactly endeared himself to the Red Sox fans. In both losses to the Yankees this weekend, the capacity crowds at Fenway Park in unison chanted, “We Want Tito!” at Valentine, showing their displeasure at how he has handled his team thus far. I can’t say as I blame them. Valentine has done a lot of talking and not a lot of winning, and I can see why that has rubbed the Red Sox fans the wrong way. 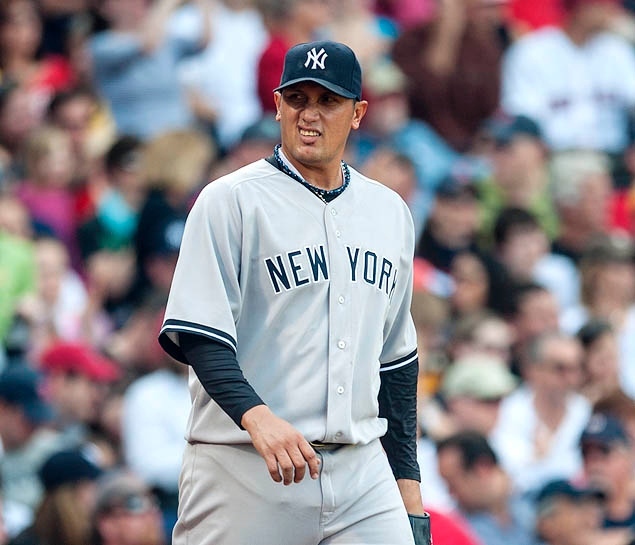 He called out Kevin Youkilis, questioning the veteran third baseman’s commitment to the team. Valentine also agreed to appear on Michael Kay’s ESPN New York radio show once a week – another reason the BoSox fans are unhappy with him. I’m not one to ever make predictions, because there’s an old saying about never being able to predict baseball. 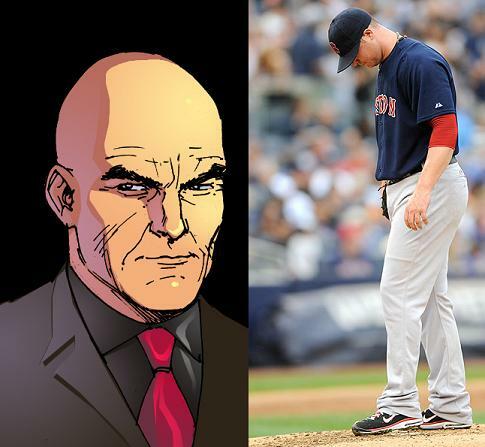 But looking at things objectively right now, I don’t see a way Valentine keeps his job all the way through the season. In other words, by the time the year is up, I don’t think he will be Red Sox skipper. He may have been hot stuff in Japan, and he was able to maintain his post as head of the Mets for awhile, but Boston is a different type of baseball city. Valentine is a long way from Japan and even though New York and Boston are only 206 miles apart, he is light years away from his days as Mets’ manager. The game tonight has been postponed due to rain – probably the best thing to happen to the scuffling Boston team. The Yankees (9-6), on the other hand, will go to Texas to play the Rangers tomorrow night, looking to roll their three game win streak into four. Fight back, you bums, fight back! 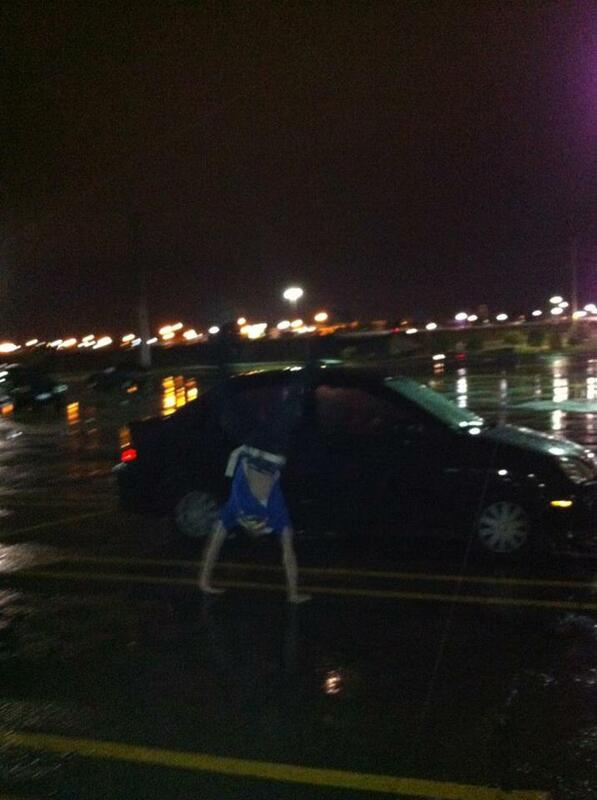 Last night was embarrassing. Let’s face it. The Yankees, who had just taken two out of three from the Los Angeles Angels, came home to face their hated rivals, the Boston Red Sox. 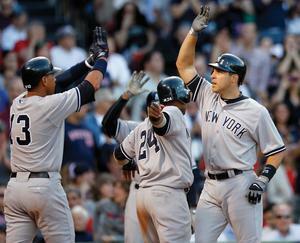 Having won six of their last seven games, the Bronx Bombers were stopped dead in their tracks, losing 6-4 to Boston. But the Yanks didn’t just lose. They brought it to a new level. 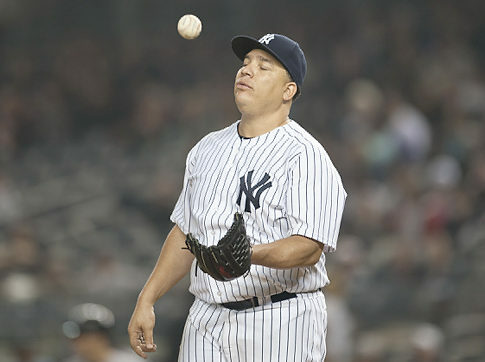 In the first inning, Yankees’ starter Freddy Garcia surrendered three runs, putting the Bronx Bombers in a quick hole. Already down in the game, Boston starter Jon Lester beaned Mark Teixeira in the right knee cap, forcing the Yankees’ hottest hitter out of the game. Later in the frame Russell Martin was hit, as Lester had no control at the outset of the game. Were the bean balls intentional? No. Lester was going to his cutter and it wasn’t cutting. 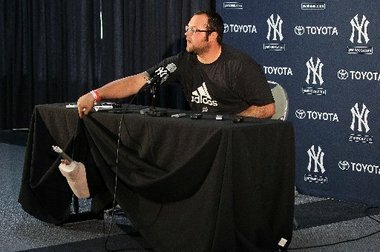 Could it have cost the Yankees if the injury had been worse? Absolutely. 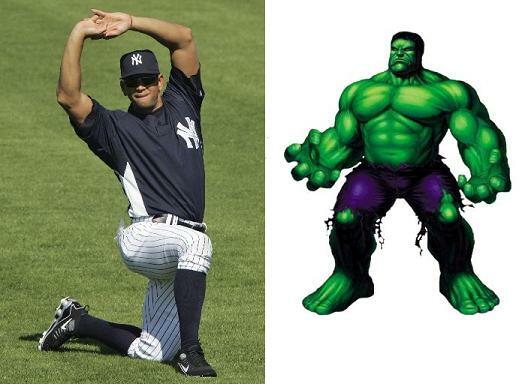 If Teixeira had broken his knee cap, the Yankees would be in serious trouble. At the end of the inning: two hit-batsmen and no retaliation. OK. The Bombers scraped one run across the plate in the bottom of the first, receiving an RBI single off the bat of Robinson Cano. They blew their chance to break out and erase the three-run first however, leaving the bases loaded to end the first inning. Down 4-1 in the top of the fifth, David Ortiz stepped up to the plate with Adrian Gonzalez on first. Reliever Hector Noesi threw an inside pitch (middle-in) that brushed Ortiz off the plate. 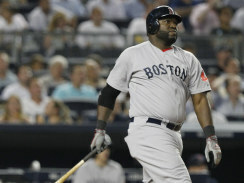 Big Papi looked a bit flustered, but clearly there was no intent. The next pitch, Ortiz crushed over the right field wall. Instead of just dropping his bat and running, he flipped the bat in a rather cocky manner, as if to show up the young Yankee pitcher. 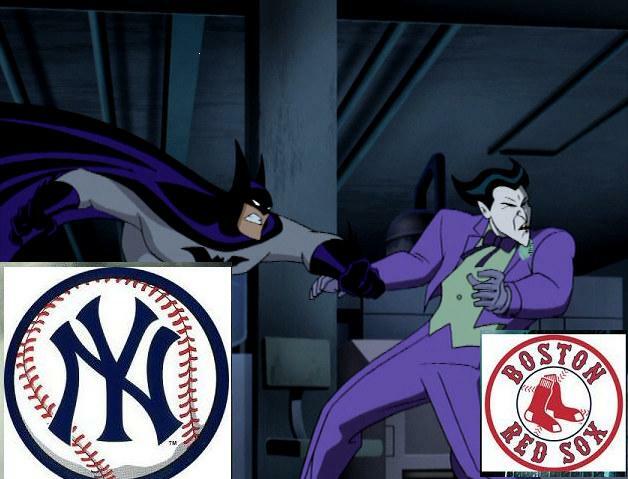 So now: two hit-batsmen, an act of cockiness, and the Yankees were losing. Perfect grounds for retaliation and the Yanks did not respond. My sentiments exactly. The Yanks should have fought back. In the bottom of the fifth, New York got two runs back and cut the lead to 6-3. Nick Swisher, who had grounded out in the first to leave the bases loaded, came around and clubbed a two-run double. The Bombers made one last ditch effort to win the game in the bottom of the ninth. Brett Gardner walked, but Captain Derek Jeter, now 12 hits away from 3,000, lined out to right field. Curtis Granderson struck out, setting up Jorge Posada, who replaced Teixeira at first base. Gardner took second on defensive indifference and scored on a single by Posada. Up came Alex Rodriguez, the tying run, 0-for-4 on the night. He made it 0-for-5 with a strikeout to end the game. But there was plenty of blame to go around; enough goats in this game, other than A-Rod. Granderson was 0-for-4 with three strikeouts and left three men on base. Quietly he has gone into a little slump, and his batting average has dipped to .269. Andruw Jones was another non-factor, going 0-for-4 with three strikeouts. He stranded three men on base. Girardi started Jones because he is a right-handed hitter and Lester is a lefty; he hoped Jones would have an advantage, righty vs. lefty, on the Boston hurler. I guess there is no such thing as an advantage against Lester. What bothered me the most about the game was not retaliating against Boston following Ortiz’s showboating. There was no reason for the conceited bat toss and no reason the Yanks should not have responded to it. It seemed as if the Yankees were just laying down for Boston without caring. Plus, if they couldn’t beat them on the scoreboard and they’re showing off, beat them with the ball. Show some gumption and some fight by hitting back. 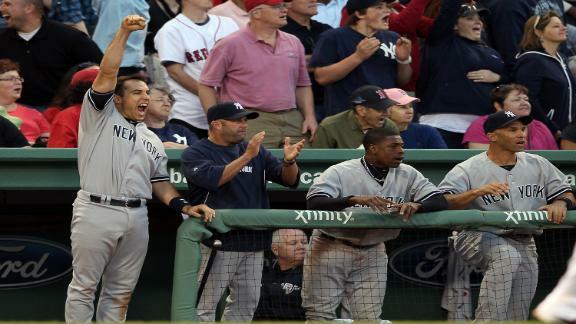 I couldn’t help but think of May 23, 2006, when the Red Sox hosted the Yanks at Fenway. 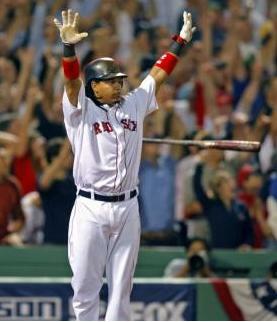 Manny Ramirez belted a long, three-run home run, but before he ran the bases he stood in the box and admired his shot. The home plate umpire even had to intervene, telling Ramirez to get out of the box and run. 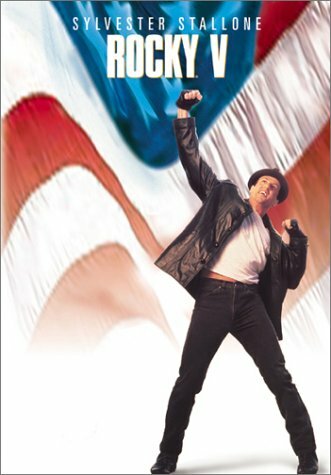 Did the Yanks fight back then? Nope. They just let it slide. 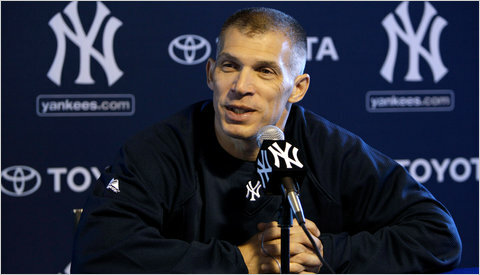 After the game Girardi let the media know that he was not a fan of the bat flip and he took offense to it. 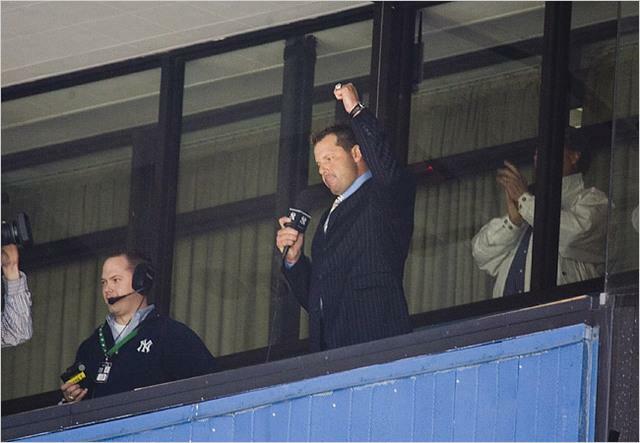 “I didn’t care for it,” the Yankee skipper said. “That’s Papi style,” he said with a smile on his face. The whole situation could mean retaliation tonight, but if history repeats itself and they just let it go as they did in ‘06, they won’t do anything back. Yet tonight’s starter A.J. Burnett (6-3, 3.86 ERA) has a history of being wild. Whether he means to or not, there’s a good possibility a Boston batter could get hit with a pitch tonight. He is 2-0 with a 3.44 ERA and 15 strikeouts in his last three starts, and it will be his first start of the season against the Red Sox. The Yanks will face 44 year-old knuckleballer Tim Wakefield (2-1, 4.40 ERA) who took the spot in the Boston rotation left by Daisuke Matsuzaka, who needs Tommy John surgery. Over the last 10 years alone vs. New York, Wakefield is 7-13 with a 4.58 ERA – and he’s been around longer than 10 years. The Yanks have had a good amount of success vs. Wakefield, but in turn Boston (34-26) has handled Burnett in the past. 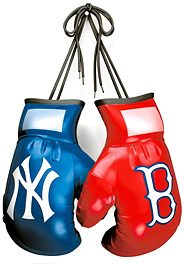 It could be a wild one in the Bronx tonight, but only if the Yankees (33-25) show some fire; if they show some hustle. If they show they won’t lay down in front of their arch-rivals. If they show some fight. Tonight had a warm, fuzzy, nostalgic feeling; in a way it’s almost as if we were brought back to 2009, a year that the Yankees won the World Series. A year that wasn’t that long ago, yet right now seems it was ages ago. The Yankees were 1-18 when trailing after eight innings coming into tonight’s game, and as fate would have it, they were down 4-3 in the ninth inning at the hands of the Toronto Blue Jays in tonight’s game at home. It looked as if they would be 1-19, but the Yanks made up their minds: they weren’t losing. Following a double by pinch-hitter Jorge Posada, Curtis Granderson came to the plate and came up with a clutch, two-out base hit to tie the game at four, bringing home Chris Dickerson, who pinch-ran for Posada. Granderson promptly stole second base setting up the moment. Mystique and aura made an appearance when Mark Teixeira stepped up to the plate and squeaked a hit past Jays’ first baseman Juan Rivera. The ball trickled into right field as Granderson made his way to the plate, giving the Yanks a 5-4 walk-off win over their division rivals. A pie to the face for Teixeira and a win for the Bronx Bombers. In the eighth inning the Yanks scored two runs, receiving an RBI double off the bat of Robinson Cano which plated Granderson. Russell Martin then singled to bring home Cano. The Yanks got their first run in the third when Martin crushed a solo home run into the left field stands, his ninth of the season. CC Sabathia did a nice job on the mound tonight, tossing a complete game to save a depleted bullpen (ask Rafael Soriano, who is going to see Dr. James Andrews and is now shut down indefinitely). He gave up four earned runs on eight hits, walked one batter, and struck out three. Really the only blemish on his ledger was a 3-run fourth inning, but he retired the last 16 batters he faced. It’s really not a stretch to say the Yanks have been playing very inconsistently lately. After dropping six games in a row – the longest losing streak since April of 2007 – they came alive with three consecutive wins. Then they lost one to the Mets, only to win their next two. Following their Subway Series win, they dropped their series opener to the Blue Jays yesterday, only to win in their final at-bat tonight. If that doesn’t define a hot-cold streak, I don’t know what does. It’s easy to point out some of the losses that rest on the shoulders of the offense. The one that sticks out like a sore thumb is Friday May 20 vs. the Mets, a 2-1 loss. Freddy Garcia, the Yanks’ starter, gave his team a quality start: seven innings pitched, two earned runs on five hits, two walks and two Ks. Not for nothing, it was a good outing. The offense on the other hand was a different story. The Yanks left seven runners on base and were 1-for-10 with runners in scoring position. Each time they had a chance to score, it somehow got away from them – and I will be the first to say the Mets’ pitching did a solid job of holding the Yankee hitters down. They knew the Yanks were scuffling in terms of scoring runs and took advantage. My friend’s dad went as far as saying the Yankees made R.A. Dickey look like Bert Blyleven. But other games, like yesterday’s 7-3 loss to Toronto, are more or less on the shoulders of the pitching. Bartolo Colon seemed to be cruising, despite surrendering a first inning home run to the Blue Jays’ version of Mickey Mantle, AKA Jose Bautista, MLB’s leading home run slugger. Joey Bats took Colon deep in the first, but the Yanks recovered and tied the game at one in the fourth. However the Blue Jays exploded on Colon in the sixth, scoring five runs and putting the Yanks in a hole they were never able to climb out of. Colon’s line: six innings pitched, six earned runs on seven hits, four walks and eight strikeouts. Other than the eight Ks, it’s not a pretty sight. The bottom line is, the Yanks collectively have to step up if they want to win it all this season, they way they did in 2009. The AL East is not going to be an easy division to claim and this three-horse race (among the Yanks, Rays, and Red Sox) could even become a four-horse race. The Blue Jays are 24-24, only 2 ½ games out of first place. 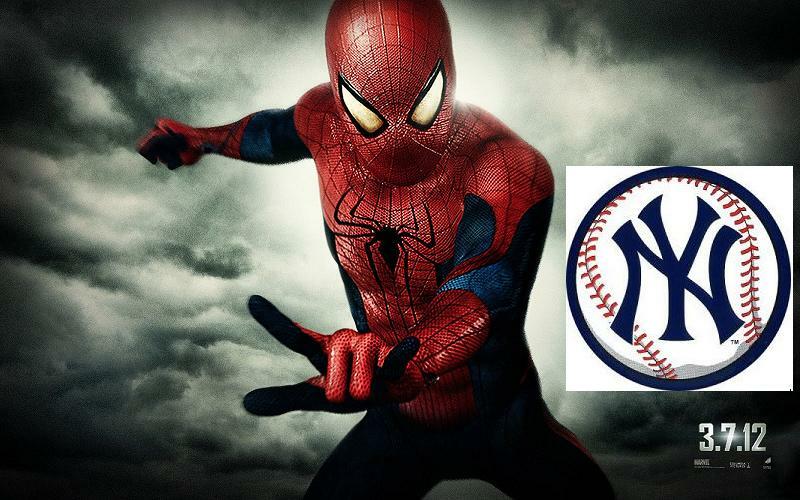 If they continue to keep their heads above water, and play the way they did against the Yanks yesterday night, they may have a shot to raise a few eyebrows and finish near the top of the division – not saying they will win the east, but at the very least, they could create problems for the Yankees as a spoiler team. Heck, even Baltimore is only 3 ½ games out at 22-24, as they won their game over the Kansas City Royals tonight. This really could be anyone’s division to win if things keep going the way they are now. But time will tell our division winner. As for tonight…tonight reminded me of 2009. Only because the Yankees did not die when they had odds and numbers stacked against them. 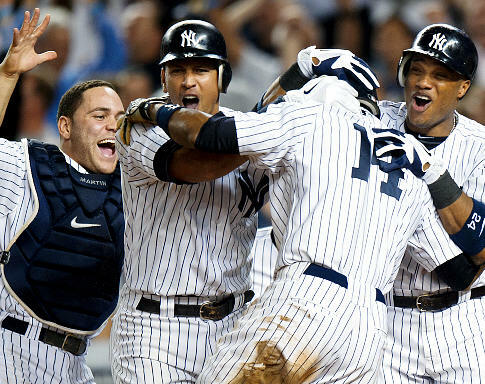 The ’09 Yanks recorded walk-off victory after walk-off victory, and it never mattered if they were down late in the game. In a close game, you could not beat them in the late innings. And tonight, they were down in the late innings…and they didn’t get beat. Tomorrow afternoon the Yanks will look to win the rubber game vs. Toronto and will get a much-needed day off on Thursday. Garcia (2-4, 3.12 ERA) will gun for the win, opposed by Jo-Jo Reyes (0-3, 4.07 ERA). He’s finished. He’s washed up. He’s through. He’s a loser. Why bother with this guy? All things some current Yankees have probably heard over the past couple of years. But right now, no one is saying any of these things. Right now the Yankees are in first place in the American League East, mostly because of the players who were taken off the so-called scrap heap. I’ll begin with the obvious: Bartolo Colon. Tonight he played the role of stopper, pitching eight strong innings en route to a 3-1 Yankee win over the Chicago White Sox, ending a two-game losing skid. Colon worked effectively, throwing 99 pitches, striking out six and only issuing one walk. He only allowed one earned run, an RBI single in the sixth inning from Adam Dunn which plated Carlos Quentin. Other than that hiccup, Colon was masterful. He worked out of a bases loaded, no out jam in the second inning and his fastball had both life and movement, topping out on the speed gun at 96 mph. So far Colon is 2-1 with an ERA of 2.77 and honestly, who expected this from him? It’s still early in the season, and Colon has not logged more than 200 innings since 2005, the year he won the A.L. Cy Young Award. 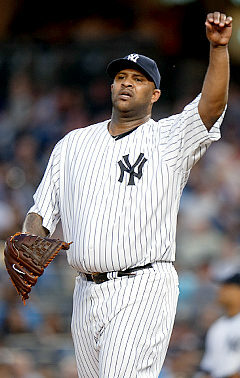 In 2007 he tossed 99 1/3 innings, but only registered 39 innings the following year. In 2009 he only threw 62 1/3 innings. The question has to be asked: can his arm hold up for the rest of the year? Time will tell. If he continues to pitch as effectively as he has this month for the rest of the season, the Yankees will not have a problem. However if the season rolls along and his velocity goes down, his pitches lose life and they fall flat, the Yankees may have to take action. But they will cross that bridge when they get there. For now, the Colon signing is looking as if it was the right move. Bench Coach Tony Pena managed him over the winter and recommended him to the front office. At the moment, Pena deserves a vast amount of credit. Another signing the Yankees made during the off-season, which right now is paying off, was the acquisition of Freddy Garcia. On April 24 he certainly pitched good enough to win, befuddling the Orioles for six innings and not allowing a run while giving up just two hits. He walked two but fanned seven. The Chief did not pick up the win, as the combined efforts of Mariano Rivera and Joba Chamberlain weren’t enough to handle the O’s in the late innings. The Yanks did win the game though, 6-3 in 11 innings. Garcia still has a little bit to prove because he only has two starts under his belt in this early season. But both starts have been of the quality variety and he has demonstrated decent control and good command of his pitches. Another signing paying dividend: Eric Chavez. Some analysts called having Chavez on the bench a “luxury” being that he is a former Silver Slugger winner (2002) and a six time Gold Glover winner (2001-06). Again, he hasn’t had a lot of playing time (12 games played) but he is making it count when he does play. So far Chavez is batting .348 (8-for-23) with two doubles, three RBIs, and four runs scored. He has also done a pretty good job playing defense, as he made a nice bare-handed play at third in yesterday’s game, playing third base for Alex Rodriguez who served as the designated hitter. 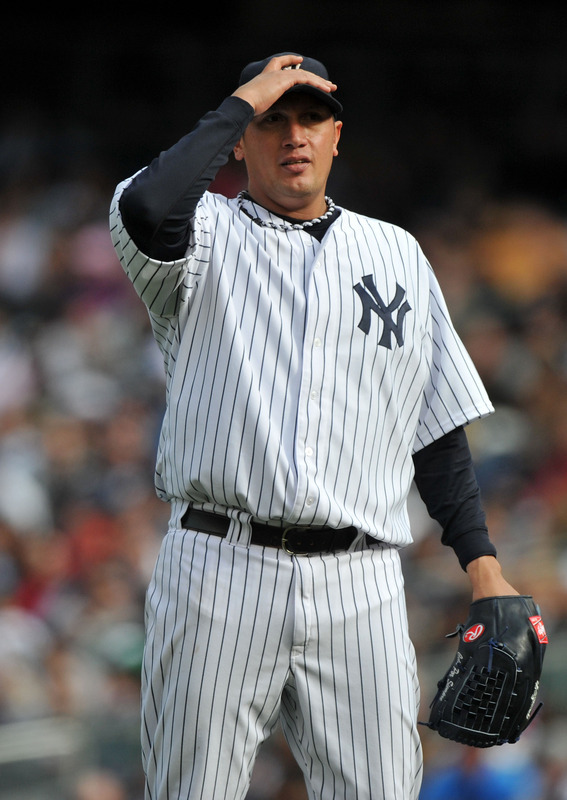 Chavez has had a series of injuries in his career and the Yankees took a chance signing him. That risk is proving to be a great reward, at least for now. Again, we are in the early stages of the 2011 season, and there is no telling what can happen in terms of injuries. But if Chavez remains healthy, he could be looked at as a steal in the future; a brilliant acquisition and one of the better moves the Yankees have made in recent years. Along with Chavez is Andruw Jones – a player once regarded as the most dangerous hitter in the National League. Like Chavez Jones is a former Silver Slugger (2005) and he is a 10-time Gold Glove winner and a five time All-Star. Jones has played in eight games so far this year and is batting .316 with a home run and two RBIs. He isn’t as fast as he once was, and maybe not even as athletic. But serving the Yanks as the fourth outfielder, he has made a couple of good catches in left field. As the year progresses, he could become more and more valuable to the Yankees. Jones hit 19 homers for the White Sox last year and knocked in 48 runs. If you ask me, that type of production from a bench player is definitely a plus, and in many ways a bonus. Yankees’ General Manager Brian Cashman was criticized heavily by the media and the fan base for making these questionable moves in the off-season. Skeptics (including myself) thought the players taken off the scrap heap were never going to make it. If the GM signs the player and he bombs, the GM looks like an idiot. If he signs the player and the player prevails, the GM comes off looking like a genius. 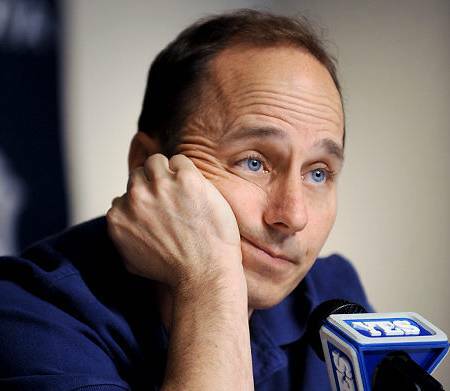 So far, Cashman is looking like a genius. Yet, it cannot be stressed enough: the season is young. Very young. Through the first month each of the scrap heap signees has done extraordinarily well. They have stepped into these roles and flourished, keeping the Yankees (13-8) above the rest of the teams in the division. But they need to keep on trucking, otherwise Cashman, as smart as he looks now, will look like a person who didn’t know what he was doing in terms of making these signings. And for now, they are the scrap heap heroes.